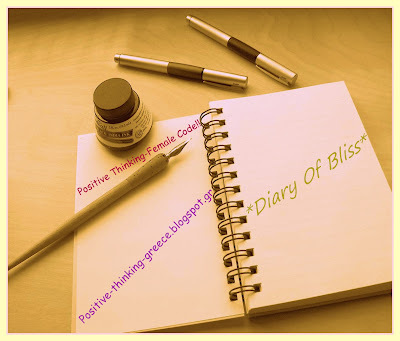 My friend Katerina from http://positive-thinking-greece.blogspot.gr/ started the Diary of Bliss, a weekly challenge where we have to write down special moments of our every day lives that make us happy. Thank you very much for giving me the chance to be a part of it! I hope I’m not off topic, but this week I would like to remember some great moments which made me happy whithin the last year and more specifically my son’s birth. Last June I was huge, but I was really happy and grateful to have my little baby in my belly. During my pregnancy I felt very strong and this is what I called ‘The power of two’. Last winter was the most tiring of my life, but also the most beautiful as I had my little prince with me. The first months he spent the whole day in my arms and I took photos of him every day waiting for him to smile at me. He is really a dream come true. I was also happy when we decided to have our religious wedding at the end of June and although this was cancelled a few years ago, now my little man was present to see how much mum and dad love each other. When I look into your eyes, I can see my purpose of life. You are the innocence I have to protect. How I love that you have your dad’s beauty! Such small things mean so much! My sister made this cake on his first birthday. That made me happy too!